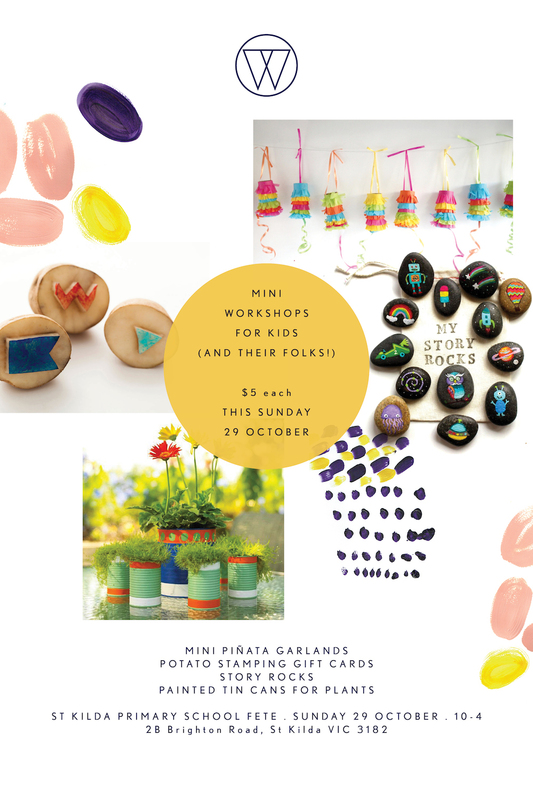 Mini Workshops and Fete Fun! Got plans tomorrow? (Sunday 29 October). Bring your little loved ones for some fete fun and join us for some mini workshops. You can choose from Mini Piñata Garlands, Potato Stamped Gift Cards, Story Rocks and Painted Tin Cans (and then go and get them planted at the plant stall!). Each activity costs only 5 Bucks!